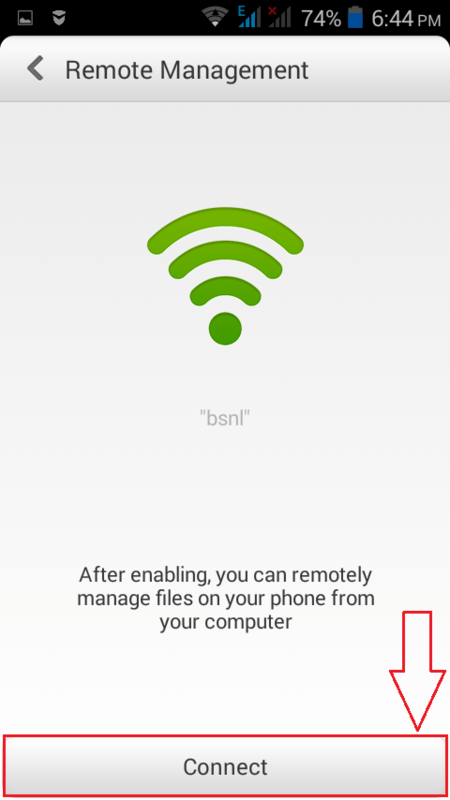 How to remotely access files on your Android Phone from your PC:- Would it be cool if you can access all the files and folders on your Android device right from your PC? Of course, it would be! Most of the android smart phones have this feature by default. 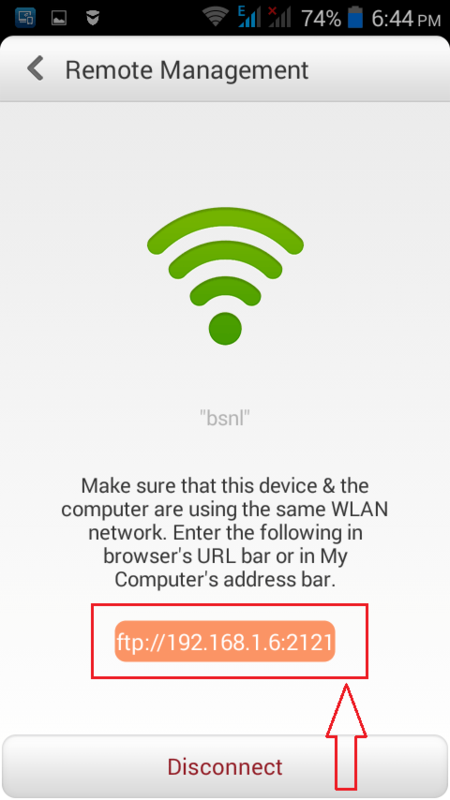 The only requirement is that both the android device and the computer system must be connected to the same WLAN network. Once both devices are on the same network, the IP address of one device can be used by the other device to access the contents of the former or vice versa. If your phone doesn’t have this feature by default, don’t worry. There are a number of third-party tools that are available just to let you accomplish this feature. Some of them are TeamViewer for Remote Control, join.me, VNC Viewer for Android, Parallels Client etc. 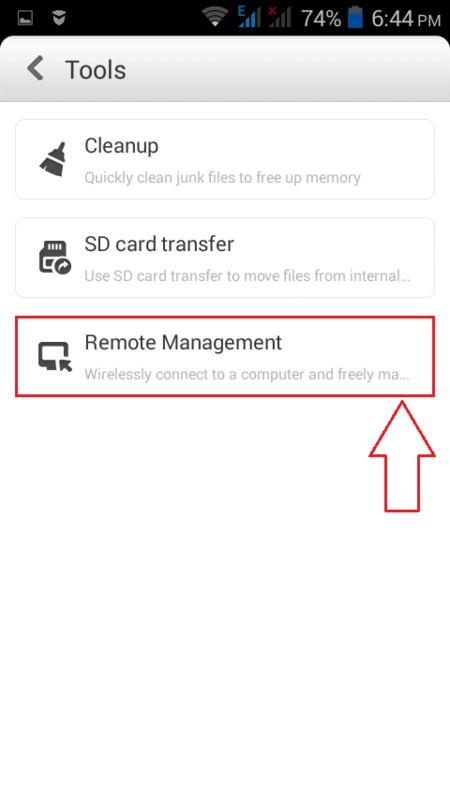 In this article, I have tried to throw some light on how to remotely access files on an android from your desktop using the default settings on your android phone. First of all, make sure both your Android device and your PC is connected to the same WLAN network. Once you are sure of that, you can get to the next step. Open your File Browser and locate the Tools option. Click on Tools. Now on Tools, find and click on the option that says Remote Management. You will now see a page that lets you enable Remote Management feature. Once you are ready, click on Connect. As a result, you will be asked to make sure that your computer and your phone is connected to the same WLAN network. Now you have to type in the given URL in your File Explorer’s address bar or on your browser’s URL bar. I have entered the URL I got from my phone on my File Explorer’s address bar. Don’t forget to hit Enter once you are done. Viola, now your default web browser opens up with an index to all the files in your phone right on your desktop. You can click on the links to navigate to different file locations. So now you can easily access your files from anywhere. Try out this hack today itself. Hope you had fun reading the article.